Stefanovsky, V.V., 1997. 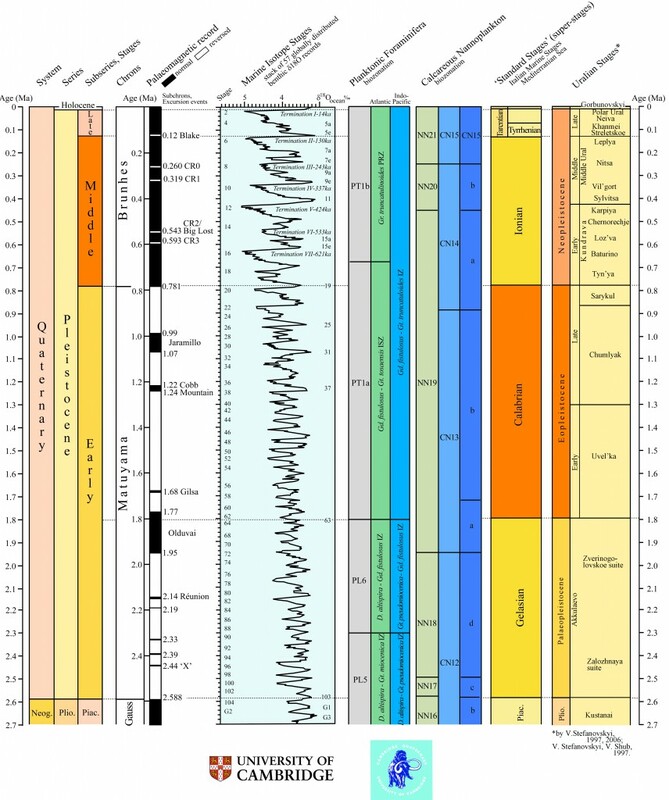 Explanatory notes to the stratigraphic scheme of the Quaternary deposits of the Urals. In: Explanatory Notes to the Stratigraphic Schemes of the Urals. Regional Stratigraphic Commission Press, Ekaterinburg, pp. 97-139 (in Russian). Stefanovsky, V.V., 2006. Pliocene and Quaternary of the Eastern slope of the Urals and Trans-Urals. Ekaterinburg (in Russian). Stefanovsky, V.V., Shub, V.S., 1997. Explanatory notes to the stratigraphic scheme of the Neogene deposits of the Urals. In: Explanatory Notes to the Stratigraphic Schemes of the Urals. Regional Stratigraphic Commission Press, Ekaterinburg, pp. 79-96 (in Russian).